When I was a thrusting young London-based software salesman in the materially obsessed Thatcherite 1980s, I had no sense of spirituality whatsoever. But I did manage to work out one very important thing that has stayed with me ever since. People used to say to me, ‘Ooh, software sales, that must be a really pressurised job. It must be terribly stressful.’ But I would always respond, ‘No, it’s not actually. It’s pretty easy.’ Why was that? Once I’d established myself the managers in the company knew I could bring in the business, so they just let me get on with it. New sales directors and managers would come and go, each one keen to stamp their imprint on the team with some new initiative concerning the number of cold calls and appointments we had to make each week – and the poor guys who weren’t very skilled, or weren’t lucky enough to have as good a set of customers as me, suffered serious stress. But as I said, I was just left alone to get on with it. So it was I came to realise that stress doesn’t stem from working hard, but from feeling we’re not in control. From being constantly pressurised by a boss, a spouse, a family member or a combination of all of these. Or, more generally, from just feeling that there’s too much to do, that there’s never enough time, that everything is crowding in on us and spiralling out of control. More recently I’ve come to realise that a corollary of not feeling in control is a tendency to see ourselves as a victim. As soon as we blame something undesirable in our life on our boss, our spouse, a family member or a friend, we’re giving away our control over that situation and placing ourselves at the mercy of someone or something else. This stress is pretty much guaranteed to lead to pain and suffering. By contrast it’s very hard to suffer when we feel we’re in control. We can be as busy as we like, whether it’s with work, raising a family, following a sporting dream or whatever. But if we enjoy what we’re doing, we know we’re doing it because it’s what we want to do and no-one else is making us do it, and we enjoy the benefits that derive from it – whether financial or otherwise – we don’t feel stressed. We might feel tired on a regular basis, but not stressed, and we’re certainly not in pain or suffering. Quite the opposite. It naturally follows that if we take full responsibility for everything we experience in our life, and never allow ourselves to sink into victim mode by blaming things on anyone or anything else, much of our suffering will vanish. So taking responsibility for our own lives isn’t a burden to be avoided – it’s actually the ultimate in self empowerment. But it’s not only by blaming other people that we avoid taking responsibility. We can do it in other, more subtle ways. Indeed the bulk of the human race has been doing it for many millennia – ever since we first started to wonder why we’re here, and to imbue all manner of gods and prophets with power over our destinies, both individual and collective. More recently the influx of Eastern thought into the Western world has produced other, even subtler ways in which we can avoid taking responsibility. Concepts such as karma from a past life, for example, can lead some spiritual seekers to assume a certain sense of inevitability to their suffering – if they believe they’re somehow paying the price for past misdemeanours. The same can be true of the more modern and increasingly popular concept that we actually plan the challenges of our own lives in advance, while in soul form. When I was first introduced to this idea I thought it was wonderfully empowering. After all, the notion that we might actively choose to be differently abled, for example, in order to challenge ourselves and to grow from a soul perspective, is far more empowering than the idea that such people are paying some sort of karmic price – or, worse still, at the mercy of a capricious God. But is it really quite so simple? Of course we all have our own unique experiences and I can’t definitively speak for anyone else. But I suspect mine might shed some useful light on this whole issue. Some years back I went through an extremely difficult couple of years. I won’t go into detail here, not least because it’s all recorded in a little book called The Gift. Suffice to say that I lost my job, I had little money, I ended up living in a van, I lost most of my friends, my books weren’t selling well at all, and in the end I lost my girlfriend too. I had dismissed traditional concepts of karmic debt long before this. But I did repeatedly allow myself to ponder whether all my suffering might not be the result of a life plan where I’d set myself some extremely harsh challenges. My ‘spiritual ego’ almost wore it as a badge of honour that I was putting myself through so much. Then, finally, I woke up. I realised that all this was just avoidance of taking responsibility for what I myself was creating in the here and now. Finally I understood that, despite all my genuine and various efforts to pull myself out of the black hole, I’d simply allowed myself to become a victim again and again. At that point I vowed ‘never again’, took back control and began to re-emerge into the light. I am not suggesting for one moment that all people who believe in concepts such as karma or life planning use them as ways of avoiding responsibility. But I know I did, and I suspect I’m not alone. I know that when I first started writing purely spiritual books, and used to attend various mind-body-spirit fairs and similar gatherings, many people would approach me and proudly reveal, ‘I’m sure I’m on my last life, I’ve suffered so much in this one, I must be paying off all my past karma in one go.’ It pains me to admit how I judged them at the time. Little did I guess that within a few more years I’d be attempting to wear a not-entirely-dissimilar badge of honour. My research in recent years has taken me down a very different path. That is not to say that my earlier work in the Books of the Soul series is now completely invalidated, because it still represents a useful introduction to a spiritual worldview based on rationality and evidence – hence the term I coined, ‘Rational Spirituality’. But a number of pieces of evidence have more recently come together to suggest that our traditional view of reincarnation as a series of lives one after the other needs a major overhaul – as indeed does our whole model of soul consciousness. 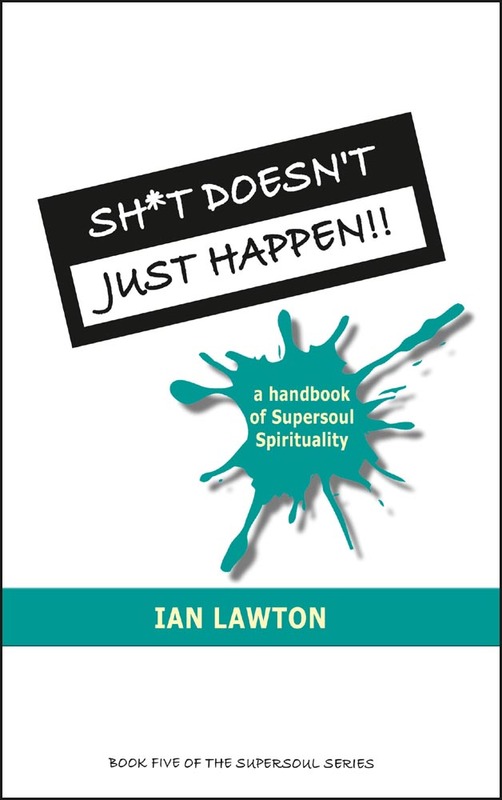 We will talk about the evidence that underpins this new ‘Supersoul Spirituality’ in the next few chapters. But the other thing it reveals is that – at least once we reach adulthood – each of us is creating or manifesting all aspects of our experience of this reality via our own thoughts, beliefs, intentions and conditioning. No one else. Just us. This assertion of the supremacy of the so-called ‘law of attraction’ will be highly contentious for some people, so can I provide any initial backing for it? The first thing I would point out is that there’s plenty of evidence that we can create desirable outcomes in our life. For example, it’s now pretty much essential for a top sportsperson to employ a psychologist to help them win. This is because it’s commonly understood that repeatedly visualising a winning outcome and behaving as if it’s a foregone conclusion – even one that’s already happened – will massively increase the chances of that outcome being realised. So it would appear that as human beings we’ve been given huge power to influence, indeed create, our experience of this plane. Nevertheless, one oft-touted objection is whether this power is genuinely available to everyone, or whether those faced with less favourable life circumstances are somewhat hampered. This question has complexities that we’ll return to in a later chapter but for now, from a purely logical point of view, why would anyone or anything design a system that gives some people this power but deprives others? If we accept that it’s possible to create desirable outcomes in our life, why would we then insist on blaming something or someone else for our less desirable experiences? Where would be the logic in that? I contend that it makes most sense to accept that we’re creating the entirety of our experience. In conjunction with this I contend that we can replace the traditional reincarnatory model of soul consciousness with an entirely new, matrix-style one based on simultaneous lives that not only better fits the available evidence but also, perhaps for the first time, is entirely compatible with this supremacy of the law of attraction. So how do we manage to attract these undesirable outcomes that we don’t consciously want at all? The problem is that much of our creative process is driven by a subconscious that can hold very different views from those of our conscious mind. For example, let’s say someone loses their job because their company goes bankrupt. On the face of it they’d say, “There’s no way I caused that to happen, it was completely outside of my control!” But actually, when we look deeper, we’ll almost certainly find that some inner motivation was at play in their own psyche. What is more it would be something entirely different for each person made redundant – from, for example, a deep insecurity about their future, to a core belief that they don’t deserve prosperity, to an inner desire to change their path in life. Something individual to each person will have caused them to have that experience. In fact a major challenge for each of us as human beings is to lay bare, and then heal and transform, the blockages and unhelpful beliefs that reside in our subconscious – which tend to sabotage our experience of what was always intended to be a joyful and abundant life. Only then can our true creative potential blossom and thrive.